A pair of local middle distance runners rewrote the Senior Mens long distance record book at the NW Zone Track and Field Championships on Tuesday and Wednesday in Peace River. The GP Comp’s Joren Manz established new standards in winning both the 400m (50.7) and 800m (2:00.28), while Beaverlodge’s Hayden Hollowell broke the 3000m record recording a time of 9:29. Hollowell also won the 1500m, narrowly missing the record by 4/10ths of a second, and placed 2nd to Manz in the 800m. The Comp’s 4 x 100m Intermediate Relay Team also established a new record, stopping the watch at 46.34. The team consisted of Marcus Cooper, James Chrenk, Chris Barone, and Dylan Dupperon. Sexsmith athletes Kristina Koerson De Boer and Tarya Kolesch had notable performances in the Senior Girls category, both capturing three golds. De Boer bested all competitors in the 800m, 1500m, and 3000m, while Kolesch triumphed in the 100m, 200m, and 400m. In the team competition, Valleyview’s Hillside School won both the Jr High and Sr High titles. Beaverlodge Regional High School was the top local school in the Sr High category, placing 4th, while Sexsmith, which also placed 4th, was the top local Jr High School. The top two athletes in each Sr High event qualified for the ASAA High School Provincials in Edmonton on June 1 and 2. 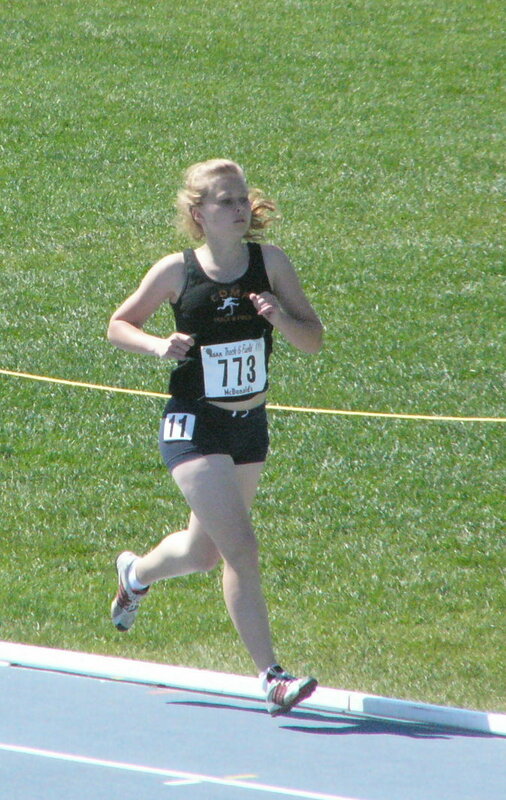 This entry was posted in Outdoor Track and Field, Uncategorized and tagged ASAA, Beaverlodge Alberta, GP Composite High School, High school, NW Zone, Peace River, Track & Field, Valleyview Alberta. Bookmark the permalink.